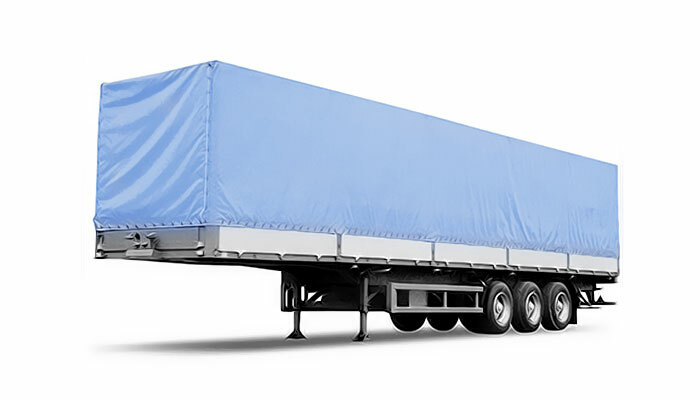 Trucks with tarpaulin or eurotent - this is the most practical and convenient form of semitrailer trucks. Because of the universal design of the car body (top, side frame are removed if necessary) side and the upper loading and unloading, using special lifting devices, cranes can be done. Using Eurotent, cargo is transported taking into account features of their shape and dimensions. If you remove the tent and frame, you can use the wagon as an open platform (height 35-50 сm boards) for loading pallets – shipping skid with cargo. By the standards, 2 europallets must fit across the width of the set, with the length 120 cm in truck. 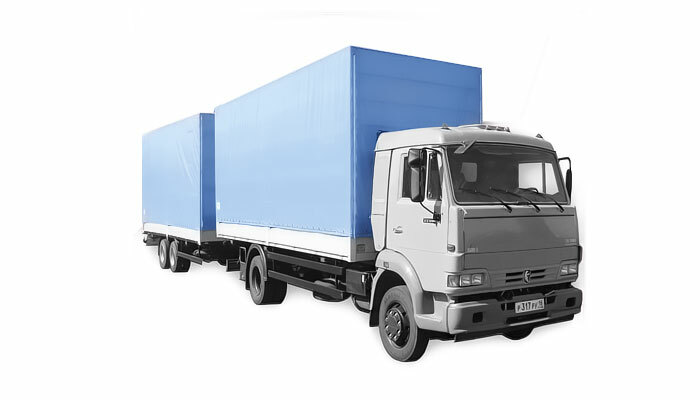 Truck transportation is one of the most popular services of the company. 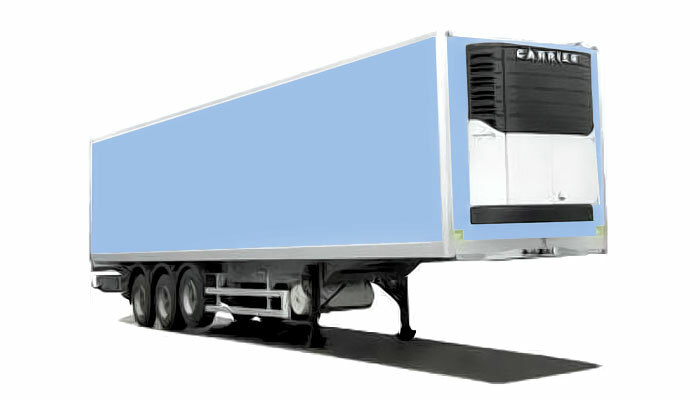 Refrigerated trucks in addition to the reliable insulation of external walls have their own cooling system, thereby completely independent from the environment. In fact - it is mobile refrigerators. With their help, deep-frozen products can be transported over long distances without quality loss. Delivery of full containers from the port / Railway station to the customer by auto transportation is made by semi-trailers and container trailers. The dimensions of the semitrailer container correspond to the standard size of shipping containers. The most common trailers 20-foot containers and 40-foot. Containers for large shipments are often used - "High-Cube". They differ from standard increased height: 2896mm vs. 2591mm in conventional containers. The length of the most hi-cube - 40 feet, less common 45-foot..
For transportation of timber are widely used semi-trailers. They are trailed platform equipped for the transport of different types of lumber - Whip, mix, etc. up to 23 m along the roads of any kind. There are different types of timber. Some models are equipped with semi-trailers timber platform with the crane for loading and unloading materials. There are more than a simple timber model, without a loader crane. Special trailer - is a specialized vehicle designed for the transportation of equipment, including road construction, as well as for transportation of various heavy loads, oversized loads and long products. Special trailer distinguish payloads: small, medium, heavy-duty. They are low loader semi-trailers, heavy-duty with a detachable front gander and a stop, low loaders, heavy-duty rear-wheel-arrival, semi-trailers, heavy-duty, allowing them to operate in extreme conditions on the roads, sliding and modular semi-trailers, as well as pipe carriers. Irreplaceable during construction, transportation, agricultural, transportation, bulk solids and other goods are dump. For fast and high quality customer service at the disposal of our company are all kinds of vehicles for the transportation of goods. This company-owned trucks and hired vehicles - tarpaulins, isotherms, refrigerators and more. We provide our customers with virtually any type of transport! In this section you can get acquainted with the technical characteristics of the main types of trucks. In the first place - is the following parameters: length, width, height, volume, capacity. Also given are the distinctive features of different types of A / m, their specificity for the users of transport services, applications, etc. According to its main consumer qualities (tonnage, volume, dimensions) for cars "ZIL" class include various models of domestic and import vehicles. Cargo compartments of these vehicles may vary slightly on the overall dimensions and, accordingly, volumes. Cars in this class are widely used in the urban and intercity routes short and medium range (500-700 km). Often used for transportation of personal effects, removals. To the class 10-ton car with tent body may include a variety of cars of domestic and foreign production. * Significant variation in the parameters due to the large amount of cargo compartments options. Trucks of this class are widely used on long-distance and international destinations. Usually cabin is equipped with sleeping and provides a place for the forwarder. As standard, the machine is equipped with fastening belts (6 pieces). The cargo compartment is adapted to the different variants of loading / unloading (top, side). Import truck models can be equipped with air suspension, which significantly improves the ride and provides better safety for fragile cargo. The machines can be equipped with an elevator. To the class of 10-ton vehicles with isothermal body may include a variety of cars of domestic and foreign production. Cars with carrying capacity up to 15 tons with voluminous (50-60 m3) and the length of the body (up to 8m). A distinctive feature of the cargo compartment of the "isotherm" is the ability to save for a long time (10-20 hours), the temperature at which you are downloading, provided ambient temperature from -10C to + 20C. Furthermore, in some models, there is a possibility of heating the cargo compartment, that allows for a longer time at lower ambient temperatures to maintain the internal temperature. The sides of the cargo compartment is made of foam, covered with tin. The cargo compartment doors are equipped with a seal. There are ventilation holes. As a rule, the cargo hold is equipped with additional side door to facilitate loading / unloading. Foreign truck models can be equipped with air suspension, which significantly improves the ride and provides better safety of fragile cargo. The machines can be equipped with an elevator. On consumer qualities with the car set 20 foot sea container close to 10 ton car with tent and isothermal body. All types of sea containers are generally used for the carriage of goods in mixed traffic (using different modes of transport). All containers have standardized outer dimensions. In Russia there is a category of machines with a frame mounted on the platform of different types of containers for permanent use in road transport. According to the consumer qualities car with set 40 foot sea container close to 20 ton car with tent and isothermal body (evrotent). All types of sea containers are generally used for the carriage of goods in mixed traffic (using different modes of transport). All containers have a uniform external dimensions. In Russia there is a category of machines with a frame mounted on the platform of different types of containers for permanent use in road transport. There are many versions of semi-trailers, the most common are: the volume of 76-78 m3 - have a shorter length (12.5 - 13 m) and semi-trailers, having a standard or longer length, width and height (13.6 m, 2.5 m, 2.7 m). 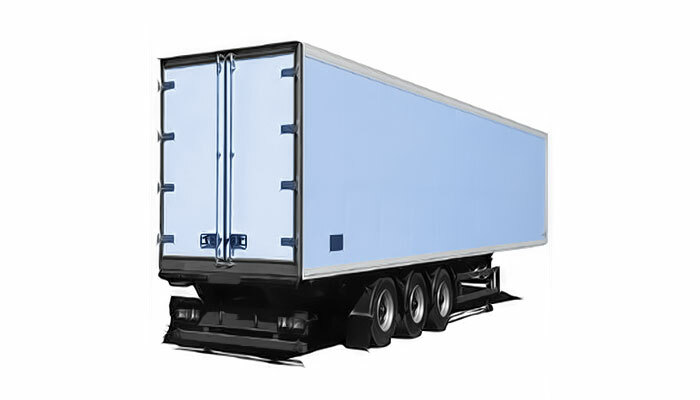 Refrigerated semi-trailer is a semi-truck, where the temperature can change from the negative (- 7-12S) to positive (0 to 10C), regardless of the outside temperature. This ability of the cargo hold is provided by stand-alone refrigeration unit. Modern refrigeration systems have different levels of protection against accidental changes in temperature, which ensures the safety of cargo. Plants may be able to record temperature for specialized "blanks". 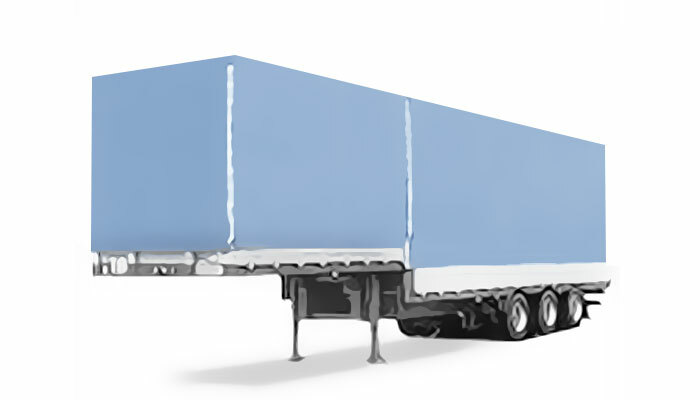 The main application of these semi-trailers - transportation of perishable goods or goods that require special temperature conditions (see temperature control during transportation of perishable products by road). 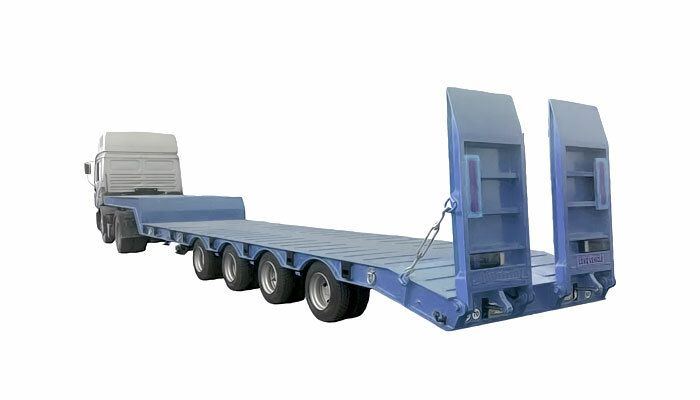 There are many versions of semi-trailers, among which are the most common: the volume of 76-78 m3 - have a shorter length (12.5 - 13 m) and semi-trailers, having a standard or longer length, width and height (13.6 m, 2.5 m, 2.7 m). "Evrotent" - conventional concept that refers to a truck with a semitrailer, having dimensions close to the above specifications. In truck, otherwise called evrotent, fits the width set across 2 Euro pallets of 120 cm in length each. There are many versions of semi-trailers, among which are the most common: Semi volume of 76-78 cubic meters - is smaller in length (12.5 - 13 m) and semi-trailers, having a standard or longer length, width and height (13.6 m, 2.5 m, 2.7 m). The main characteristic of the consumer is the volume of the semi-trailer or the number of pallets that can be downloaded. Suspension semi-marks in the spring or pneumatic version. Air suspension ensures a smooth ride road trains, providing safety of fragile cargo. 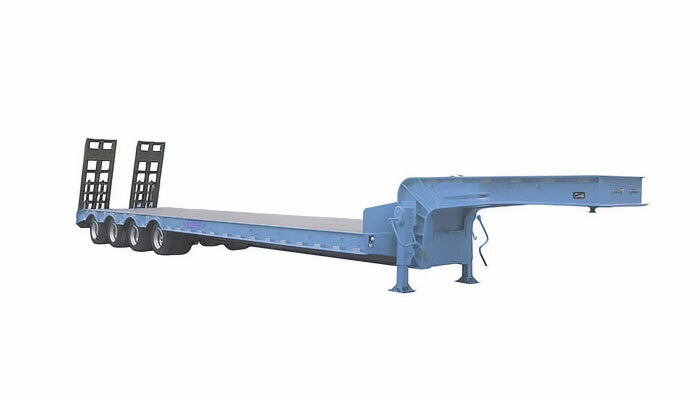 Semitrailer tilt design allows you to clean and thus allows to make loading / unloading from the side or from above. In addition, the semi-trailer without the tent can be used as a semi-open area with boards in height from 35 to 50 cm. The most common body type. Suitable for transportation of majority of cargo. Movable allows you to boot from the top and from the side. Capacity: 20-25 tons. Useful volume: 60-92 m3. Capacity: 22-33 europallet. Semi-fridge. Suitable for most types of transportation of perishable goods and goods with special storage conditions: from + 25 ° C to -25 ° C. In operation more expensive than other types of vehicles by 5-25%. Capacity: 12-22 tons. Useful volume: 60-92 m3. Capacity: 24-33 europallet. Car with a body on one frame + trailer. Advantage: quick loading (unloading) and a large usable volume. Disadvantage: not suitable for long loads. Capacity: 16-25 tons. Useful volume: 60-120 m3. Capacity: 22-33 europallet. Designed for the transport of foodstuffs. Can maintain a certain temperature for a long time. Often semi-automatic coupling and single. Capacity: 3-25 tons. Useful volume: 32-92 m3. Capacity: 6-33 europallet. It is used for transportation of oversized cargo, including construction machinery. Capacity: 20-40 tons. It is used for transportation of goods, resistant to external weather influences. It can also be used for oversized equipment, Tonnage 15-20 t.
Trailer of enlarged capacity. This is achieved by a special L-shaped floor and the reduced diameter of the wheels of the semitrailer. Load capacity: up to 20 tons. Useful volume: 96-125 m3. Capacity: 33 europallet. Volume of the trailer can vary due to changes in the length and height.